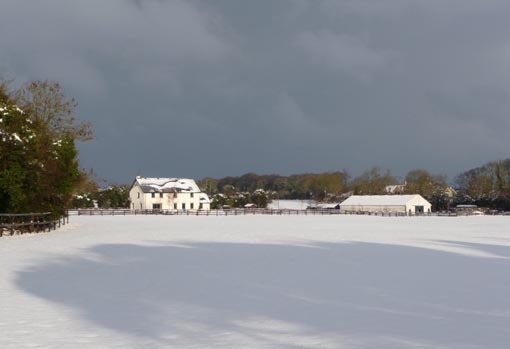 The Green Island is clad in white! 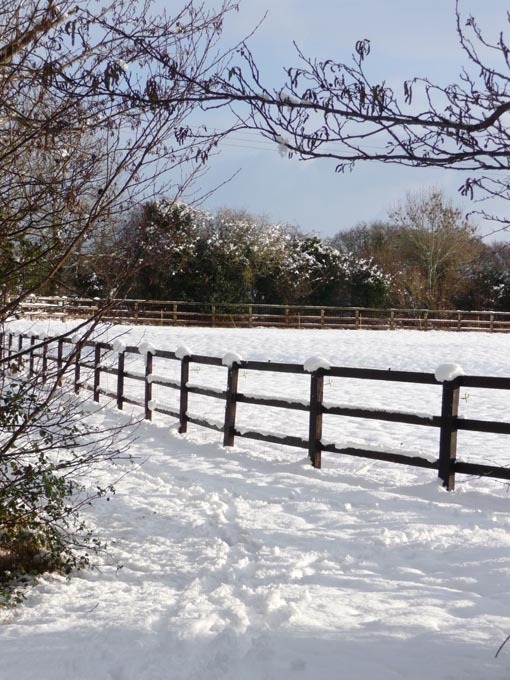 Some of those mares have never seen the white stuff, but Romandie (left) is a snow-professional! 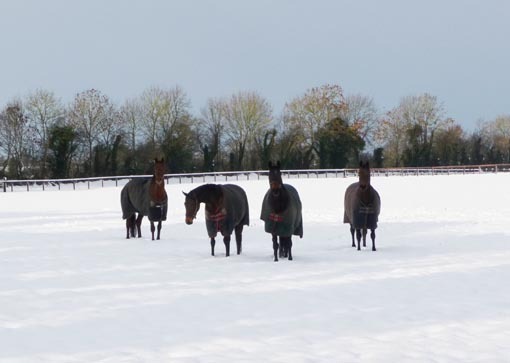 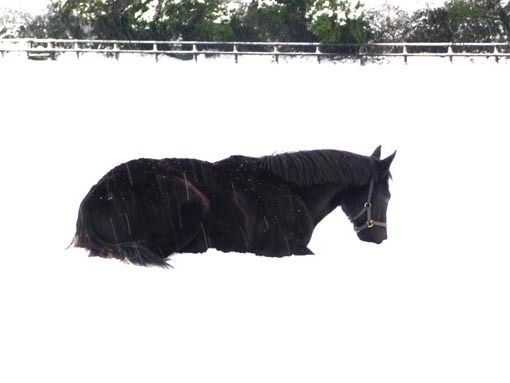 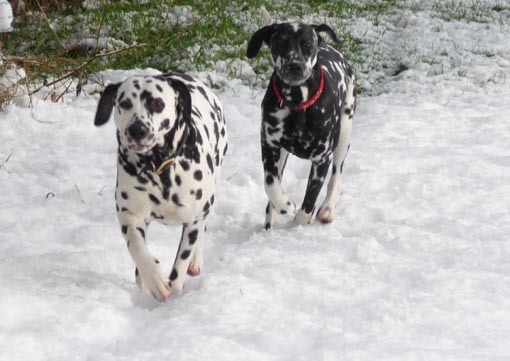 The yearling fillies get acquainted with their first ever snow, while the dogs love playing in it!